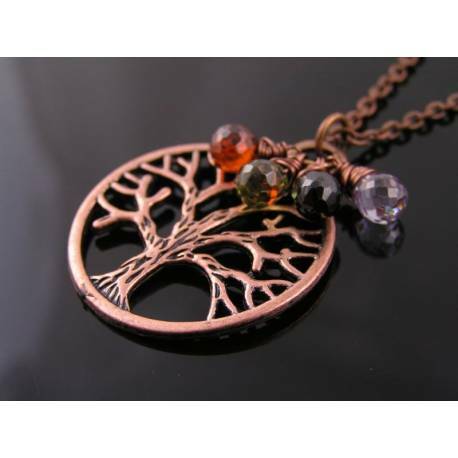 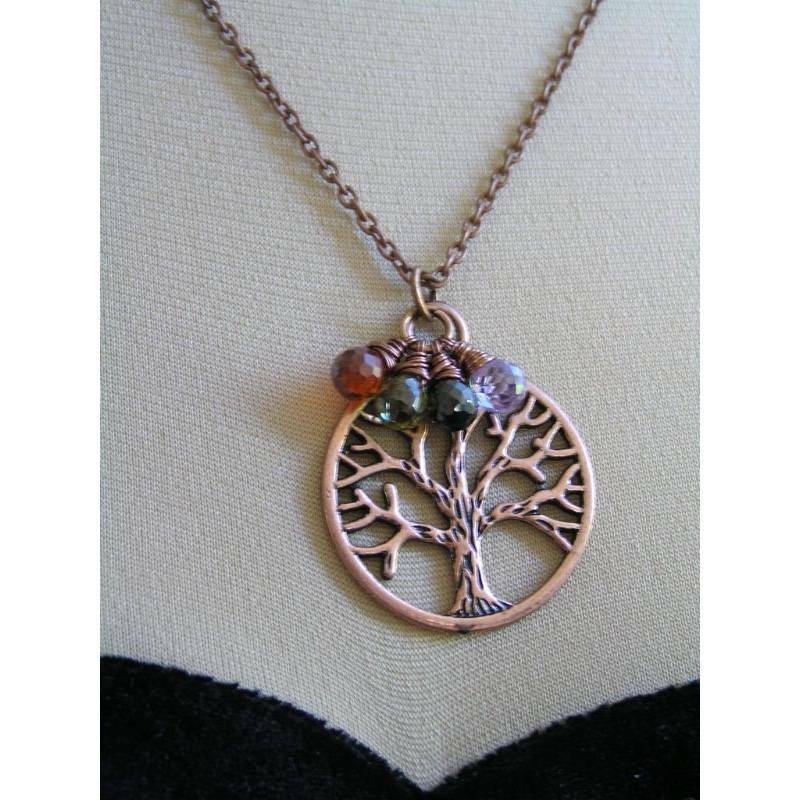 This antique copper tree pendant is very detailed and looks very attractive together with the multi coloured genuine cubic zirconia drops. 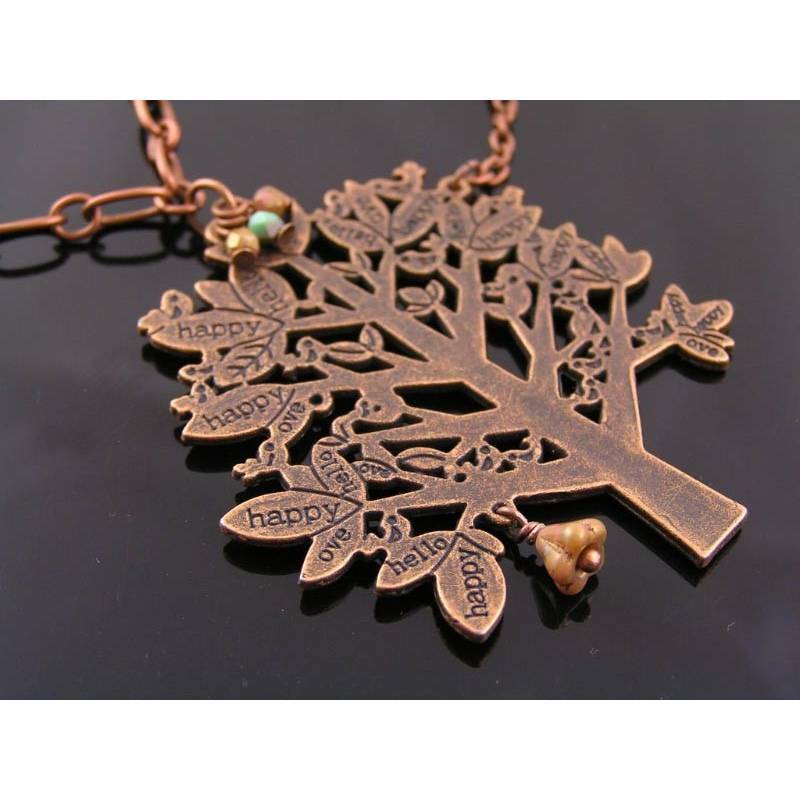 The pendant is attached to a 51cm long trace chain which closes with a lobster claw clasp. 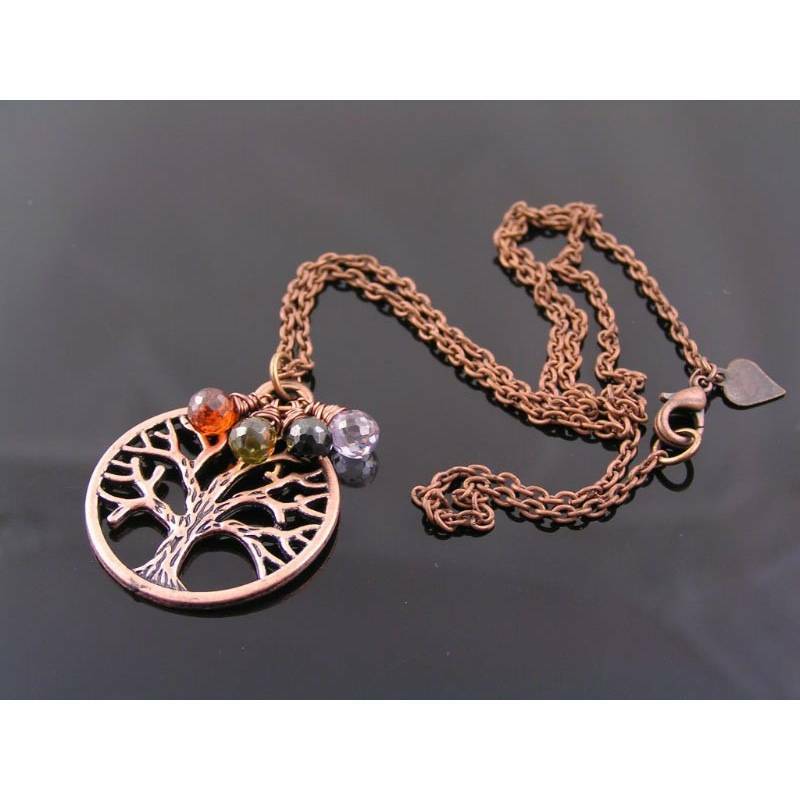 There is a small heart dangle attached next to the clasp. The tree pendant measures 3cm in diameter. * The last photo shows a larger 'tree of life' necklace version which we have available separately.